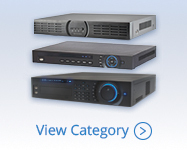 Choose one of our low cost Analog DVRs for your new security system. 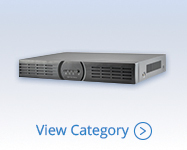 Our economic analog DVRs have up to 8TB of high quality surveillance hard drives and up to D1 video resolution. 8 channel Analog DVRs for use with up to 8 analog cameras. These plug and play DVRs connect to cameras via coaxial cable and have 1080P Live Preview. Get up to 4TB hard drive space. 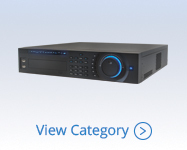 Connect up to 16 analog cameras to one of our 16 channel analog DVRs. Use 700TVL analog cameras with one of our D1 analog recorders for a high quality, low cost analog surveillance system. Install a large 32 camera security system using one of our 32 channel Analog DVRs with 1080P live preview and D1 recording resolutions. Get up to 32TB of memory using high quality purple surveillance drives. 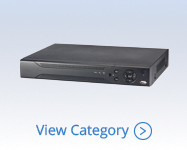 View all analog DVRs by DSC. Choose between 4, 8 and 16 camera analog DVRs with up to 32TB of memory using high quality purple surveillance hard drives. Pair with high resolution analog bullet, dome, PTZ, infrared or outdoor security cameras. Get a prebuilt analog weatherproof DVR system for up to 16 cameras. 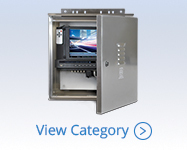 This outdoor weatherproof DVR enclosure is composed of a NEMA3 rated enclosure constructed of 5052 marine grade aluminum, sun shade, mounting brackets, 4/8/16 channel analog DVR and lock.